This modular scheme for Pocket Living provides 29 one bed and 3 two bed affordable apartments on a former garage site on the corner of the Handsome Estate. 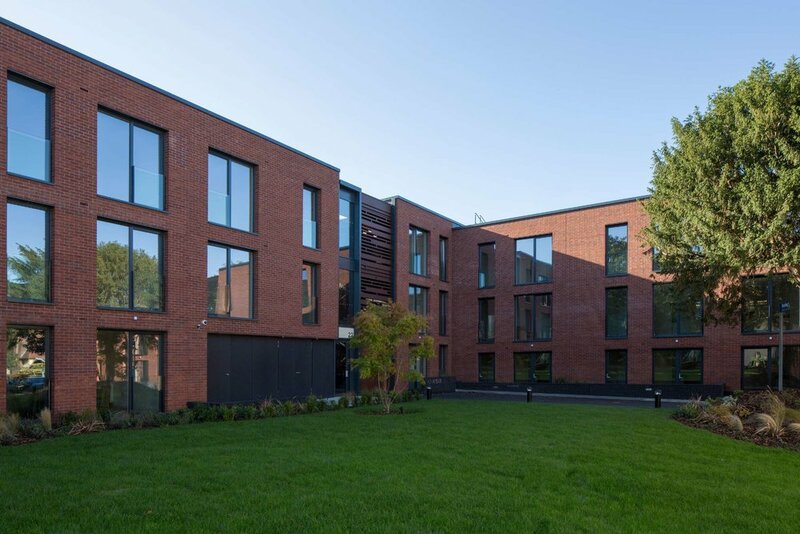 A series of brick clad one, two and three storey building blocks optimise unit numbers whilst retaining views and access for existing residents of the estate. 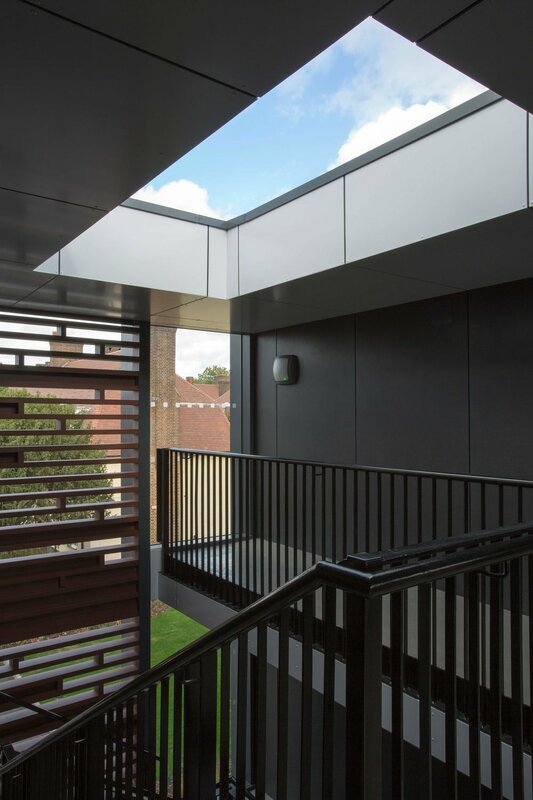 Semi-external circulation and clever use of perforated metal cladding materials create a secure and self policing environment whilst landscaped public areas and terraces offer amenity for residents and enhance the existing community. Pocket Living, is a private development company that specialises in developing affordable homes for first time buyers in Central London.